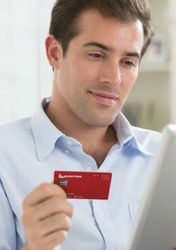 Virgin Australia will add new 'carrier charge' fees onto tickets booked using Velocity Frequent Flyer points, increasing the cash component of a points-based reward booking by up to $460 per person based on a return flight. The new fees apply to Virgin Australia reward flights booked from January 1 2019. Journeys between Australia and Los Angeles are the hardest hit, with a $230 one-way charge applying to business class reward flights operated by both Virgin Australia and Delta Air Lines. Premium economy and economy class reward bookings will see carrier charges of $145 and $60, respectively, per one-way flight on the same LAX routes. Flights between Australia and Hong Kong will attract surcharges of $50 in business class and $35 in economy per one-way flight, while on all other international routes except New Zealand, the charge is $50 per one-way business class flight, or $25 per one-way economy flight. Domestic flights within Australia and trans-Tasman journeys between Australia and New Zealand will attract carrier charges of $5.50 in business class and $3.50 in economy class per one-way flight. Passengers making bookings for travel solely within Australia will also need to pay GST on those carrier charges. Travellers booking connecting flights on the one ticket – such as Brisbane to Hong Kong via Sydney or Melbourne – will pay that carrier charge per flight sector too, but with no GST. As with genuine government taxes and airport fees, these new carrier charges will be collected at the time of booking, where a credit card surcharge of between 0.6% and 1.3% is also levied, despite there being no other way to pay using money, unless you use additional points to cover the spread. Itineraries booked before January 1 2019 will not be subject to these carrier charges – including when travel takes place in 2019 – and carrier charges are not being introduced on any other Virgin Australia partner airline bookings, including routes operated by Delta beyond Sydney-Los Angeles. Virgin Australia already levies an “Etihad Airways Carrier Charge” of up to US$300 per flight when using Velocity points to book Etihad Airways journeys, and this remains unchanged. In related news for Velocity members, Virgin Australia is also changing the number of status credits that can be earned on domestic Getaway-branded fares. These tickets currently provide as few as five status credits per flight, such as on shorter routes like Sydney-Melbourne and Sydney-Brisbane, although flights taken from December 1 2018 will begin earning a minimum of seven status credits per one-way flight instead. While that’s a small change in number, it makes earning or retaining Velocity Gold status a fair bit easier for domestic economy travellers. Currently, it takes 100 short-distance Getaway flights to earn the 500 status credits required to obtain Velocity Gold – that’s 50 return trips every year, or a journey almost every week. Under the new earning rates, passengers travelling on the same routes could instead reach Velocity Gold for the first time from a reduced 72 one-way flights, or 36 return trips. Also from December 1, Virgin Australia passengers travelling with Air Canada from Los Angeles to Vancouver, Calgary, Montreal or Toronto on a Virgin Australia codeshare flight number will begin earning status credits, in line with Virgin Australia’s existing earning tables. So, pay to use your VA points now. What next, pay to use your own Travel Bank money? Pretty modest charges, eg, trans-tasman (and domestic) only $3.50 in Y.
I suppose it's only a theoretical $460 given the non-existence of J rewards on VA to LAX. Qantas has been charging more than this for years on FF reward seats. Correct, even with the extra charges, the taxes in QF J class are still higher than VA's J. I guess with that in mind, makes them able to do this and still remain competitive. But unfortunately, a few bad news this week for VAs members. I will be transferring all my virgin points over to Singapore before Jan 1. I will then head back to qantas and I don’t think I’ll look back. Even though qantas redemption fees are higher they have more flights, availability, partners and destinations. Happy to pay an extra ~$100 on an international J on qantas for the redemption for the flexibility. If there is anything positive to say about Velocity: unlike many other airline programs it makes it pretty easy to leave. Qantas don’t make it easy to redeem interflights on their own metal, especially in premium classes. I may be a little cynical here. But this reads as though VA are using the opportunity that the SQ transfer devaluation presents. More flyers will keep their points in velocity, and look for any opportunities to use them on VA seats, and in their desperation they will pay this charge. I'd like to think more of VA and hope this charge will lead to improved availability. But its been a rough week if you are/were a VA frequent flyer. If you look at VA's profitability (or lack thereof), I'd say it's just a simple decision to try and recover some existing costs which they incur on FF redemptions. This is a pretty serious devaluation. An additional $460 on LA flights is a slap in the face, but perhaps irrelevant given the lack of inventory. Leveling carrier charges on domestic flights is a bit of a cynical move from VA. It's good to see the Getaway SC earn bumped up a bit. 5SC on east coast flights was a very meagre offering when Qantas gives at least 10SC. VA used to do so as well. Bit of a rough week for Velocity members I must say. Something that seems overlooked here, status credits and points on Air Canada finally! Hopefully this eventually evolves into a full on partnership. Whether reasonable or not, like many others, I am treating this as the last straw. See y'all. The issue I have with these carrier charges are; while they are somewhat reasonable now, once they exist it will be easy for them to jack the price every time they need to squeeze more money. The end of award flights given Qantas price gouging for fees and charges plus zero FF points JQ business tickets without ridiculous bundling. Hit VA Platinum this month and will be the last time given this devaluation. If you crunch the points value, SQ interchange rate and the surcharges, the headline is that Velocity points have been devalued by about 15%. The only saving grace is the advance notice. The non existent VA TPAC redemption inventory means I'll move on. 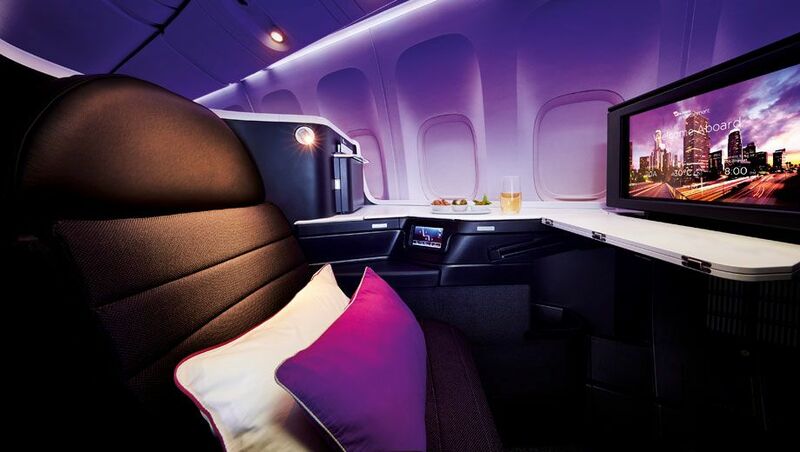 Comment on "Virgin Australia adds 'carrier charge' fee to Velocity reward bookings"